Dr. Craig Cook attended Biola University to get his Bachelor’s and Master’s degrees, and Manila University to get his Ph.D. in Sociology, specifically in Gender, Sport, and the Body. His prior work experience includes roles as Dean of the School of Education in Simpson University, U.S, Deputy Dean of UPH College, Indonesia, Chair of Humanities Department at Crown College, U.S, and a teacher and High School Principal at Faith Academy, Philippines: all of which are Christian-affiliated institutions. In the CFI session held on April 1, Dr. Cook explained his main focus on educational philosophy, which is to “transcend” and not just “replicate” what is already being taught. 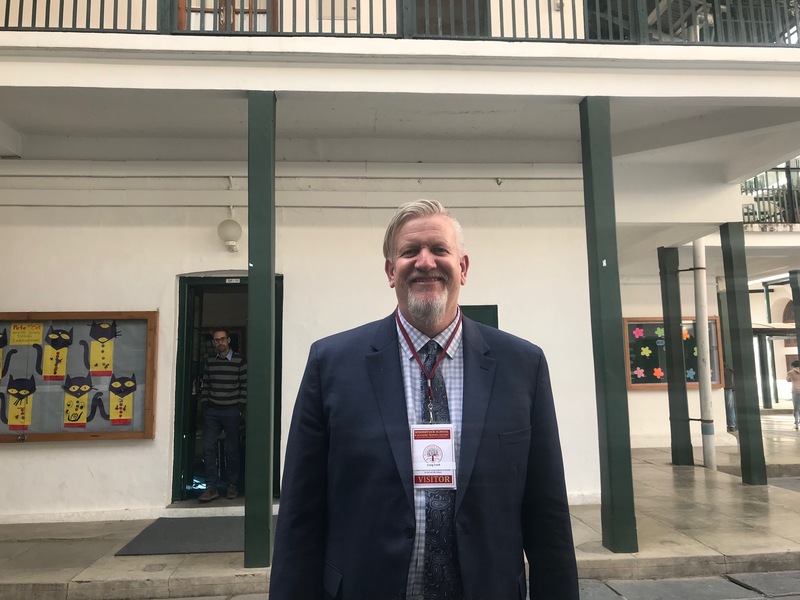 Hence, he believes in thinking “more broadly than oneself.” Therefore, despite his Christian background, he believes that if it’s ethical, students should not be protected from the wider beliefs and values that exist even within the school’s community. He said that we could “live in a diverse space” and still maintain the Christian identity. He briefly talked about his background and one of his biggest influences, his father to show how one can not understand an individual without the context. His father, who was a “quintessential” Third Culture Kid, or TCK, lived in numerous places around the world as a missionary, which led to Dr. Cook being multilingual. Due to the same, he also played professional-level sports in a few countries. Dr. Cook humbly confessed that he wasn’t as high-achieving as his father, however, stated that his father had great influence on his love for sports such as basketball and tennis, as well as the way he grew up as another culturally aware TCK. He explained that his background as a TCK who grew up in the Philippines and his experience in Southeast Asia for 26 years is appropriate for the diverse community here. Hence, the school’s multicultural society and his love for students were key reasons to apply for the job. He emphasized that before a proposition of a change or a decision, the context of the society and the people involved should be thoroughly considered. When asked about how he would deal with controversies between different groups within the school, such as the student body and the board, he replied that all decisions that would be placed in his hands would be carefully judged after listening to the different voices in the community as a sociologist.